It being two weeks into the lovely month of December already, I’m well aware that I am ridiculously behind in this fun little photo challenge. I’m only on Day 4!! The Schrader home has been actively trying to fight off a nasty bug for the past week, which means I spent most of my days inside the house with a sad, less than energetic little girl. But we are finally on the upswing and trying to get all caught up on all the fun Christmas festivities that we missed! This year Aaron and I hosted a little Christmas gathering for our friends. We decorated these sweet Christmas cookies, watched a Christmas movie and took in all of this season’s merriment that we could. I can’t wait until Ivy is old enough to help me bake these and then earnestly wait for them to cool so she can frost, decorate, and then enjoy her own. This is one of my favorite family Christmas traditions that I don’t anticipate ending any time soon. Whatever it is, I love snickerdoodles! 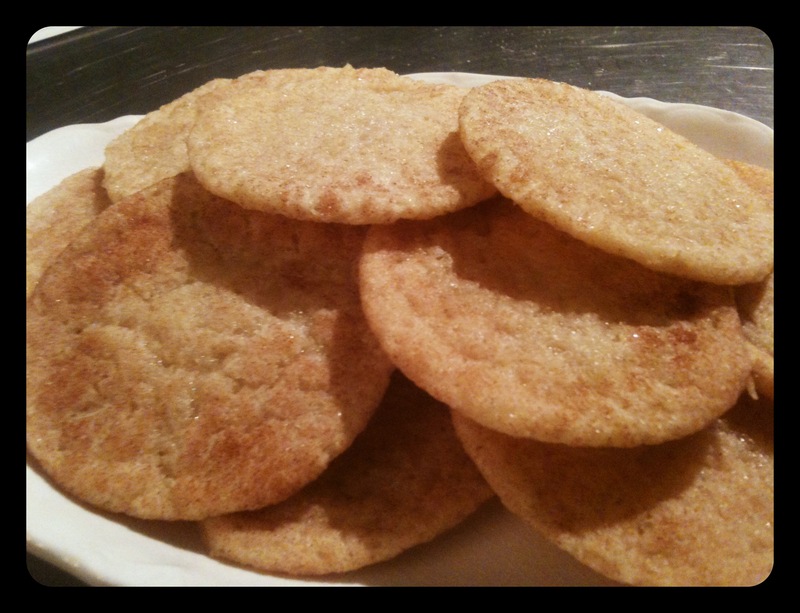 They happen to be one of Aaron’s favorite cookies as well, so several years ago I went on a search for the best snickerdoodle recipe I could find. And I do believe I found it! This one has been my favorite for years. I wish I remember where it came from so I could give proper credit, but I copied it down years ago and have no idea where I pulled it from. I love how this recipe uses the more traditional way of making snickerdoodles with cream of tartar and baking soda instead of more modern recipes that use baking powder. They seem old fashioned, lovely, and straight out of grandma’s kitchen. ♥ Enjoy! How about you? Tell me what your favorite cookie is! Strain together the flour, cream of tartar, baking soda, and salt. Set aside. 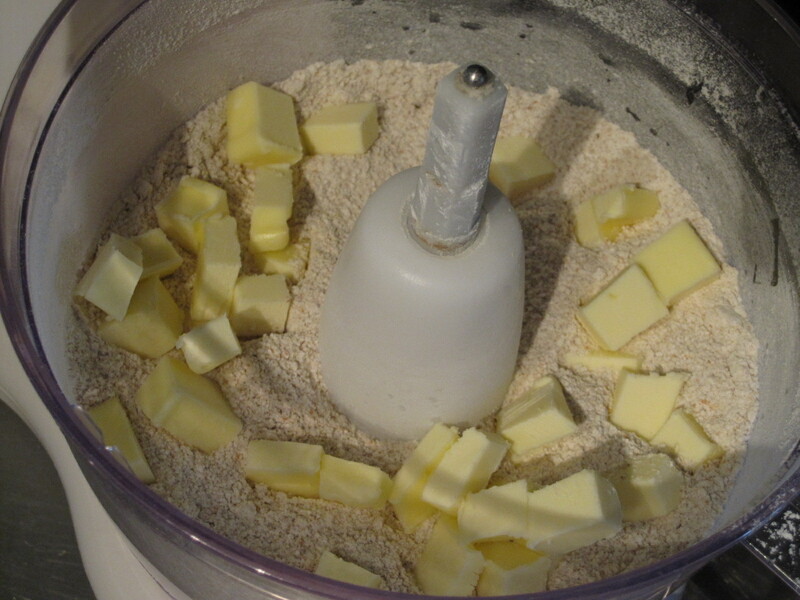 In the large bowl of an electric mixer fitted with the paddle attachment, mix the butter and vegetable shortening on medium speed until lightened in color, about 2 minutes. Add 1 1/2 cups of the sugar in a steady stream and mix for another 2 minutes. Reduce the mixer speed to low and add the eggs one at a time, mixing well after each addition and scraping down the side of the bowl as needed. Stir in the vanilla. Add the dry ingredients in two additions, mixing just until blended after each addition. 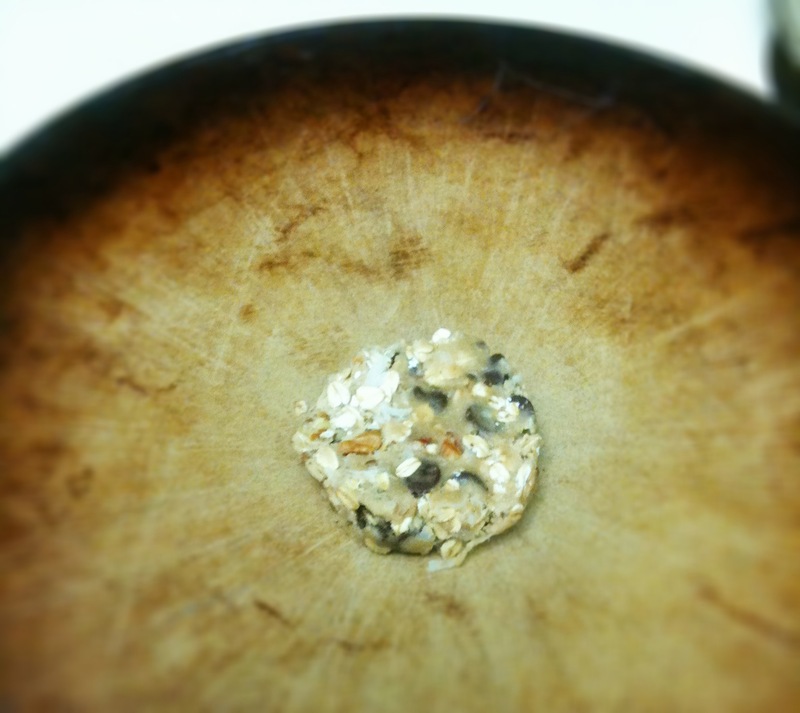 Scrape the dough into a clean bowl, cover with plastic wrap, and chill for 6 to 8 hours, or overnight. When ready to bake the cookies, position the shelves in the upper and lower thirds of the oven. Heat the oven to 350 degrees. Lightly butter the cookie sheets. Divide the dough into quarters. With lightly floured hands, shape each quarter into a log. Slice each log into 12 equal pieces and roll into small walnut-size balls. Combine the remaining 1/4 cup sugar with the cinnamon in a small mixing bowl. Working one piece at a time, place each ball in the mixture and briskly rotate the bowl in a circular motion to coat the dough evenly with the mixture. Place 3 inches apart on the cookie sheets. Bake for 10-12 minutes, or until lightly browned. Toward the end of baking time, rotate the pans from top to bottom and front to back. 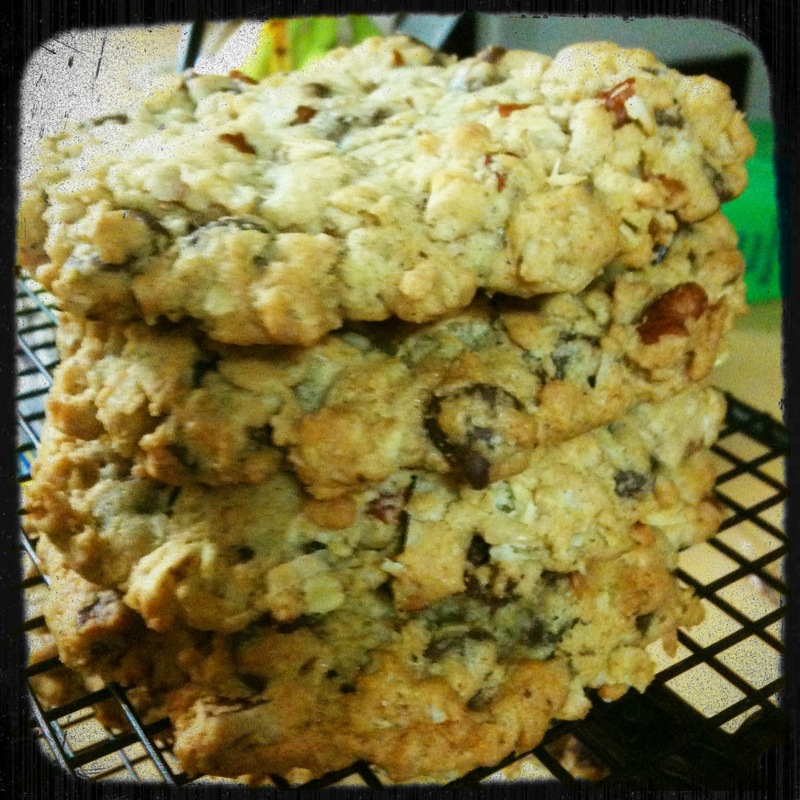 (A shorter baking time will make these cookies chewier, while longer baking results in crispiness.) Remove the cookies from the oven and let rest or 5 minutes. Transfer with a thin metal spatula to wire racks to cool. Storage: Store in an airtight container, layered between strips of wax paper, for up to 3 weeks. These cookies may be frozen. I may have had one of the greatest moments of my life yesterday. My sneaky husband that loves me more than I deserve, and my adorable sister that brings joy to my soul have been keeping a secret from me. A very big secret. I came home from lunch with my mother-in-law, walked in the door, and was greeted by my sister and my sweet as a button nephew! I cried a little…or maybe a lot…as Emery repeated “Nie Nie” over and over again with a big grin between his chubby cheeks. Having them here to spend my 30th birthday with me is so special! 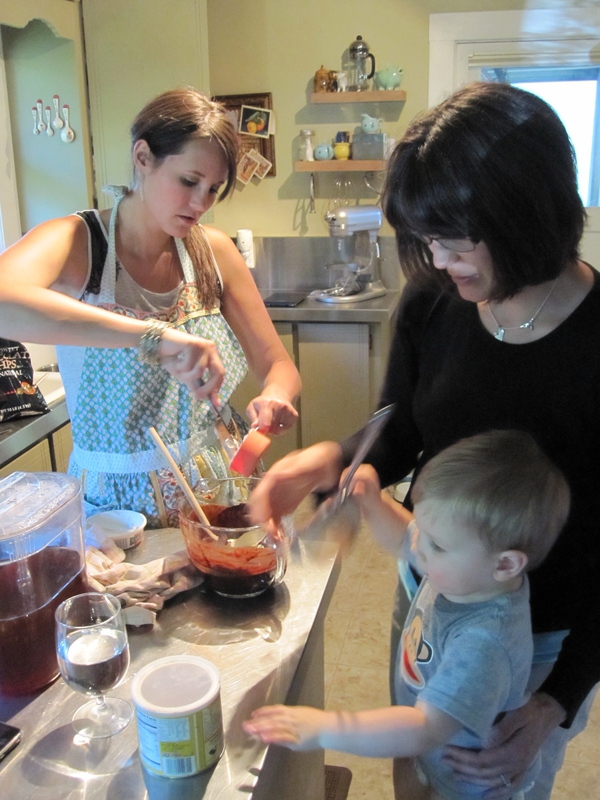 Since my baking challenge isn’t yet over, Sarah and Emery helped out with the recipe that holds the 28th spot. It’s a brownie. If you’ve been following along in this little challenge and remember the last brownie I made with my mom…don’t judge me. I absolutely DO NOT have a stack of brownie recipes sitting in a box somewhere that I will never try. 🙂 I did, however, have a container of mascarpone cheese that I needed to use up, and this recipe was just asking to be made. So we did! And then we got to share them with some of our favorite people ever! 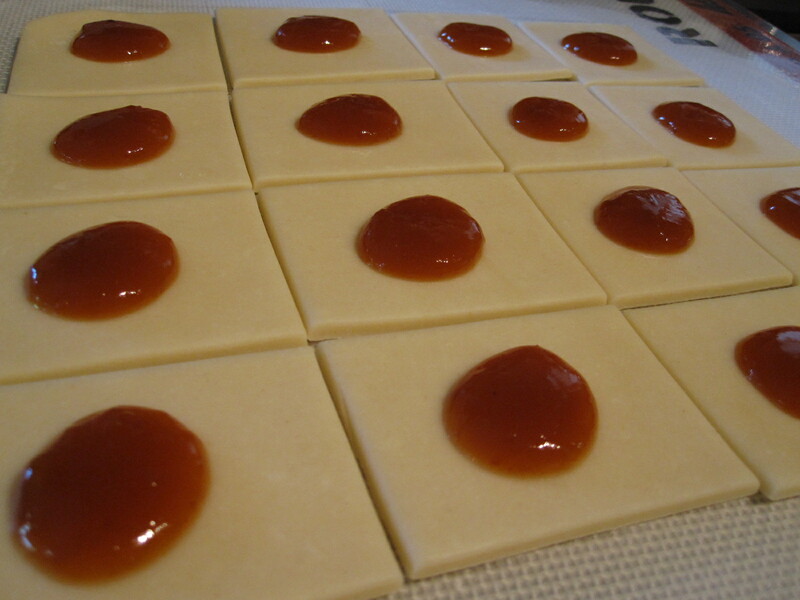 Preheat oven to 325°F; have ready a buttered 8-inch square glass cake pan. First, prepare the brownies. In a small saucepan, melt the butter and bring it to just below a boil; have the chopped chocolate in a mixing bowl–pour the hot butter over the chocolate and let stand for 30 seconds. Sift in the sugar and cocoa powder (I do this through a sieve, not with a sifter). With a wooden spoon, beat in the mascarpone, eggs (30 minutes on the counter brings them to room temperature) and vanilla, mixing until smooth. Gently fold the flour and salt into the batter. Pour batter into prepared pan and spread evenly–this is important since, if the batter isn’t spread evenly, it won’t bake evenly. Place into preheated oven and bake for 45 to 50 minutes, or until a tester comes out clean (45 minutes did it for me). 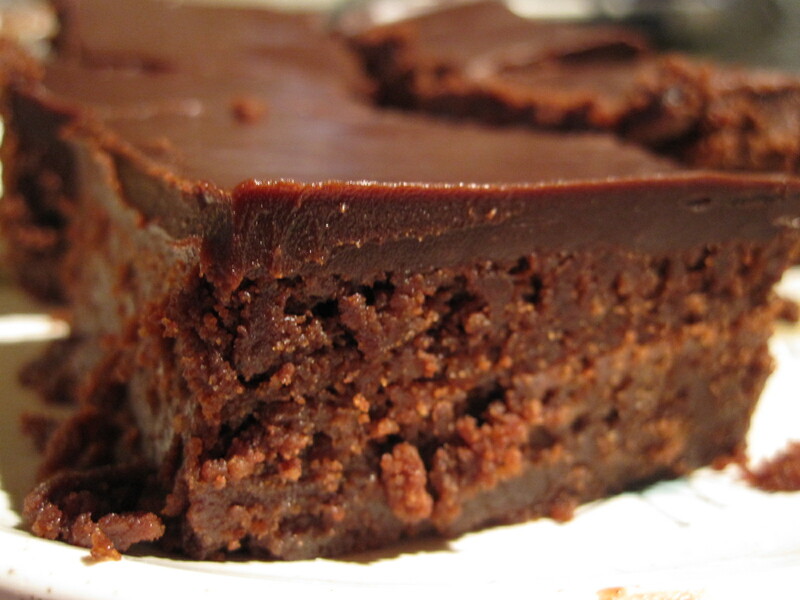 Place pan on a cooling rack and let brownies cool for 10-15 minutes, while you now make the ganache. 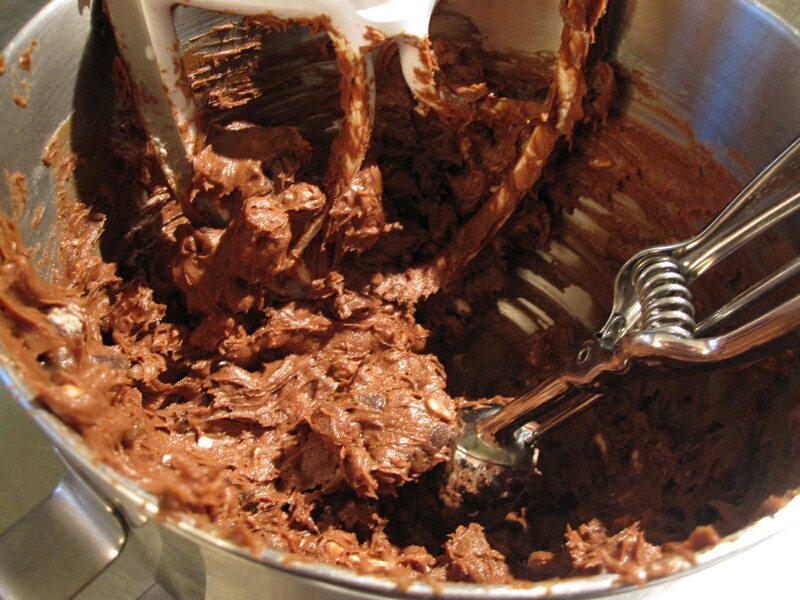 Place chopped chocolate in a mixing bowl; in a small saucepan, bring the cream and the butter to just below the boiling point, over medium heat. Pour this hot cream-butter mixture over the chocolate and let stand for 30 seconds, then stir until smooth; ganache is now ready to use and can be spread over the brownies. Should you wish to wait a bit, make sure the ganache is warm when you spread over the brownies, as it does firm up which makes spreading hard to do. Don’t cut into the brownies until ganache has firmed up; I find it best to put the brownies into the fridge to speed this along; once the ganache is firm the brownies do not need to be kept in the fridge, though. 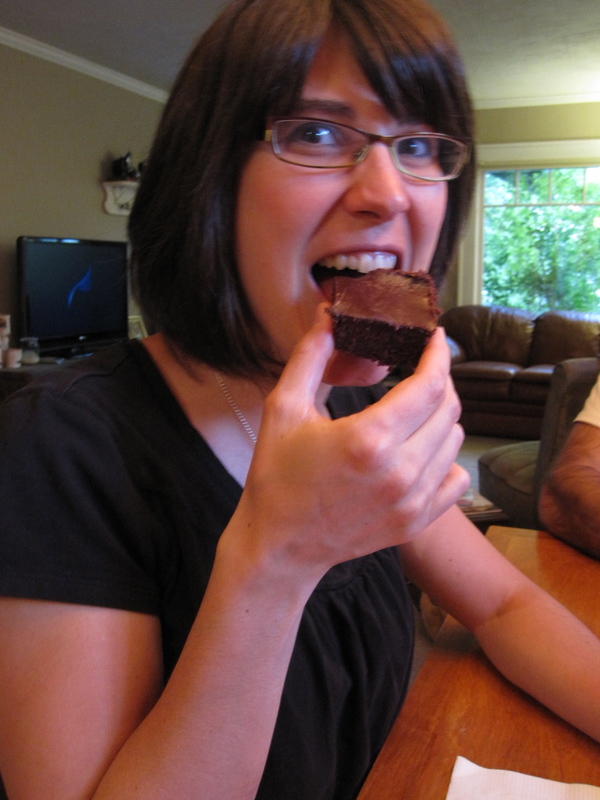 What I love about these sinfully chocolate squares: Chocolate, chocolate, and more chocolate! What I hate about these sinfully chocolate squares: They aren’t much to talk about. Nothing too exciting, and a little bit too cake like to be a real brownie. We are currently finishing out our first trip to Texas, and it has been such a fun one! I am, however, pretty certain that we have visited Midland during the hottest week in years! It was still 106 degrees at 7:30pm tonight. In my dad’s words, “It was a hundred an hell.” But since we’re still struggling to peek over the 70 degree mark in Oregon, we’re soaking up the hot weather no matter how uncomfortable it is! There are a few things that don’t help in weather this hot. Having to turn on the oven to bake so I don’t fall so far behind in this challenge. But there are a few things that absolutely take the edge off of melting in this heat! Some of the best people I’ve met so far to talk and laugh with over said barbecue. Large glasses of sweet iced tea. A pool right outside your door. Texas is lovely. 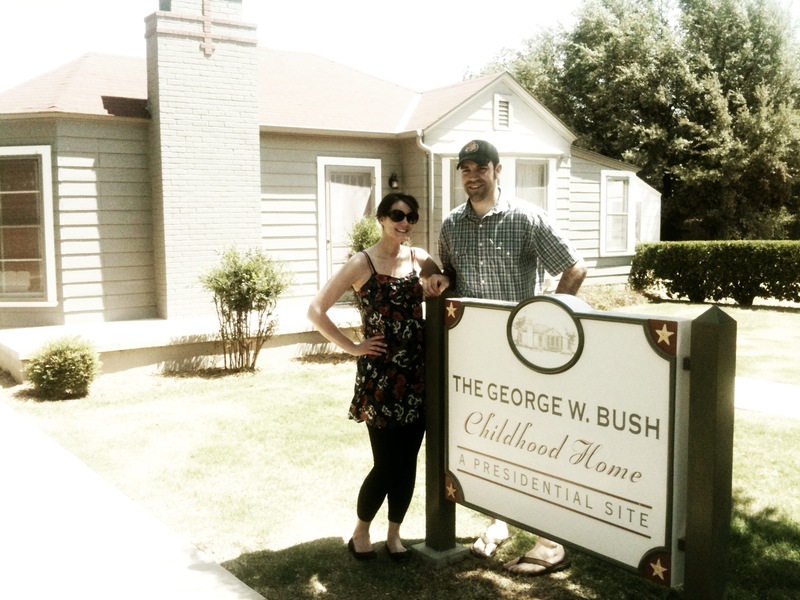 ♥ I’ve been so anxious to visit here for so many reasons, one of them being the fact that this is the childhood home of George W. and Laura Bush! It is also where they spent their early years of marriage. I absolutely love George W. and his adorable wife, Laura! Since this is their hometown my mom chose this seriously good cookie recipe that was put into the First Presbyterian Church of Midland, Texas (where my dad works) cookbook by the first lady herself. Yum, delicious, scrumptious and swoon! Mix flour, baking powder, baking soda, cinnamon and salt in a bowl. In an 8-quart bowl, beat butter on medium speed, until smooth and creamy, about 1 minute. Gradually beat in sugars and continue beating after each. Beat in eggs, one at a time, mixing well after each. Beat in vanilla. Stir in flour mixture until just combined. 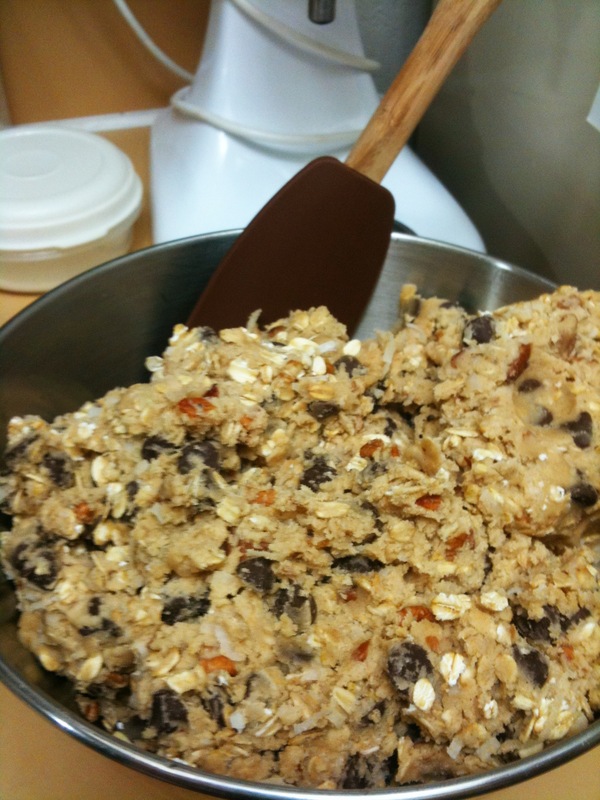 Add chocolate chips, oats, coconut and pecans. For each cookie, drop 1/4 cup of dough onto an ungreased cookie sheet, spacing 3-inches apart. Flatten slightly. Bake for 17-20 minutes, until edges are lightly browned. Remove to rack to cool. What I love about these giant presidential cookies: THEY’RE GIANT!! What I hate about these giant presidential cookies: I can’t think of one dadgum thing. 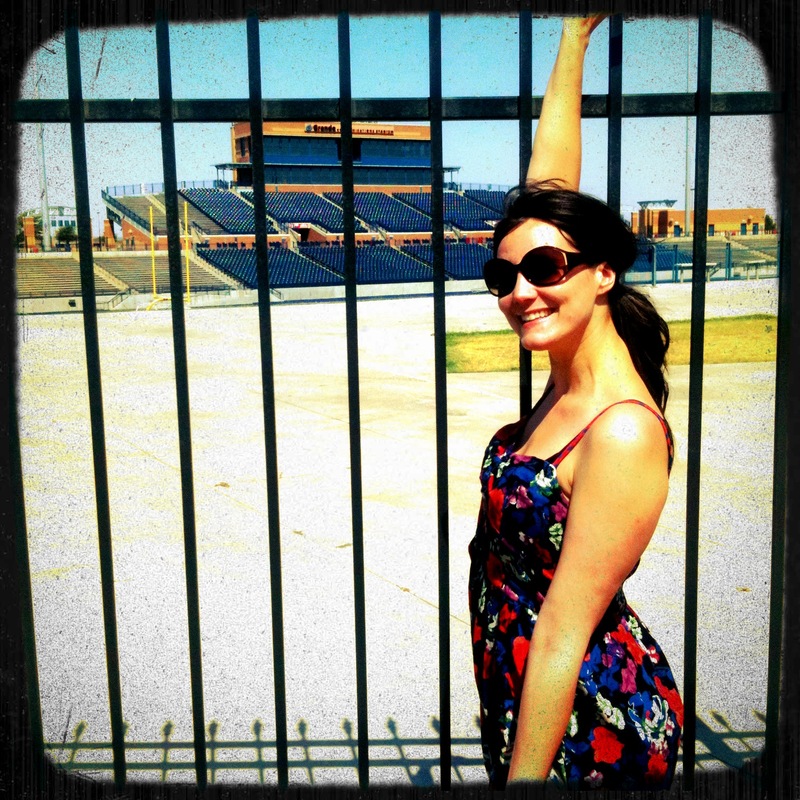 We spent our first day here in Midland touring the town! 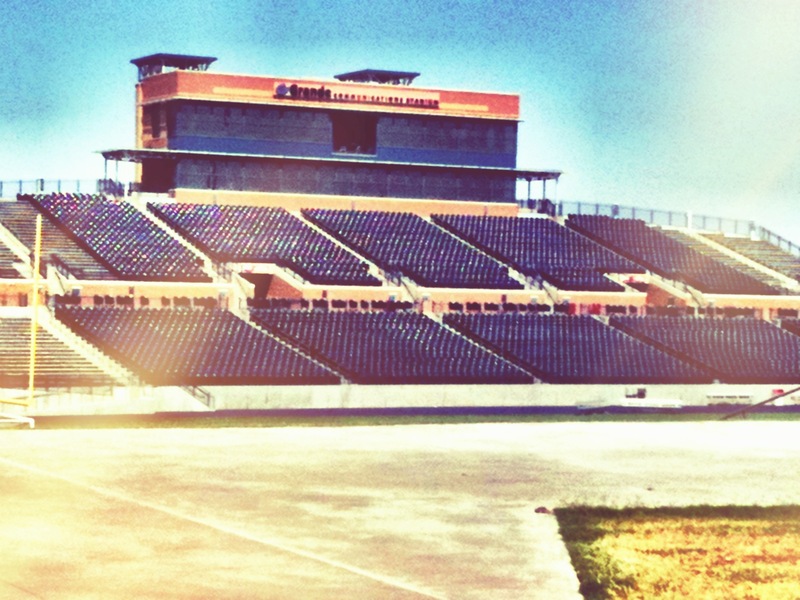 We visited Grande Stadium which is where Midland High plays out their season. If you’ve never heard how west Texans view high school football, watch Friday Night Lights. I have never seen a more true to life show. The importance on high school football is clearly shown in this amazing stadium! It’s amazing! Wish I could actually see a game played here. It’s a different culture for sure, but I’m enjoying every minute of it. I’m so thrilled to be able to do some of this baking challenge with my sweet mom, who is an amazing baker and cook herself! I asked her to choose 3 or 4 recipes for us to try while I was here, and her first choice couldn’t have been more appropriate. Blonde Brownies. This is one of my mom’s recipe boxes that she owns. 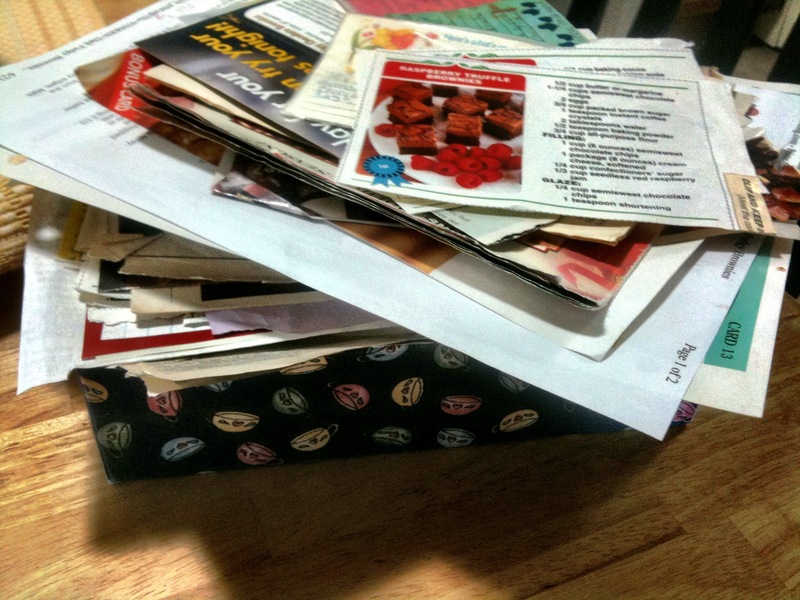 If you look closely you can get a glimpse of the fact that the top 25 in this pile are all brownie recipes. My sister and I have teased her about her need to clip every single brownie recipe she comes across for years. Help me out here Sarah…we can agree that it’s out of control, right? There’s only so many ways to make brownies! The recipes are all so similar, and in fact nearly all have the words fudgy and chewy in them somewhere. What makes this even more ridiculous is that despite having so many brownie recipes, when she actually decides to make brownies, she uses a box mix. No joke. So she brought out all of her brownie recipes from this box and had me choose which one I wanted to do. Preheat oven to 350 degrees. Grease 13×9-inch baking pan. Combine flour, baking powder and salt in small bowl; set aside. Beat sugar, brown sugar and butter in large bowl with electric mixer at medium speed until light and fluffy. Beat in eggs and vanilla. Add flour mixture. Beat at low speed until well blended. Stir in chocolate chunks and macadamia nuts. Spread batter evenly into prepared pan. Bake 25 to 30 minutes or until golden brown. remove pan to wire rack; cool completely. Cut into 3 1/4 x 1 1/2 -inch bars. What I hate about these cookies in disguise: Um…nothing. If there’s one thing that the Girl Scouts know how to do (and let’s be honest…they know how to do a heck of a lot) it’s how to sell cookies. Holy deliciousness they are good. And it’s pretty darn hard to resist those cute little girls in pig tails and braids asking in their sweet voices if you’d like to buy some cookies. This year I got roped into buying a box of cookies by a sweet little girl with freckles, big eyes, and a vest covered in patches, and I can’t even eat them. I’d like to meet the person who could say no to that. Starting all the way back in 1912, the Girl Scouts aim was to help teach values like honesty, fairness, courage, compassion, character, sisterhood, confidence, and citizenship. I love that this program teaches the very things that make people good. The very things that set us apart from others. And I love that it’s a retro, old school program that is still going strong today! Here’s a few little tidbits to store away in your brain for your next conversation about how incredibly addicting Girl Scout cookies are. 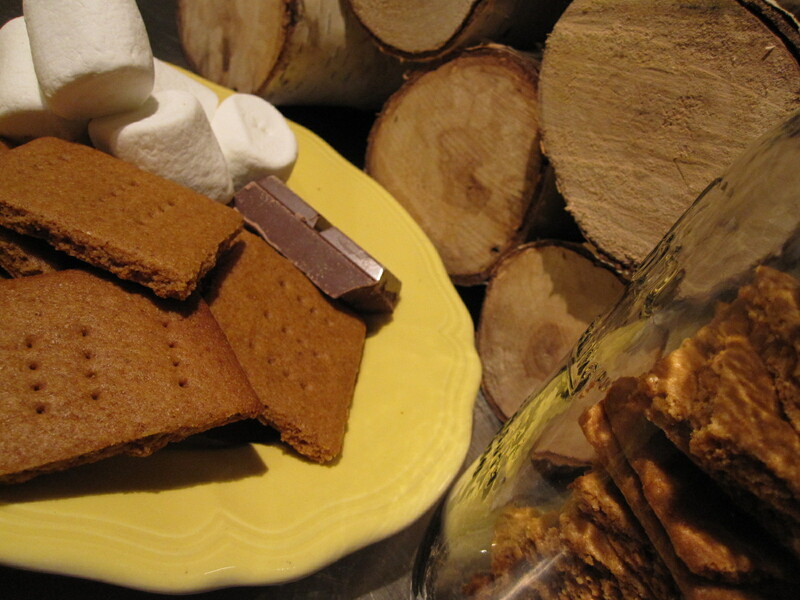 ♥ The first Girl Scout cookies, sold in 1917, were baked by girls at home with assistance from their moms. 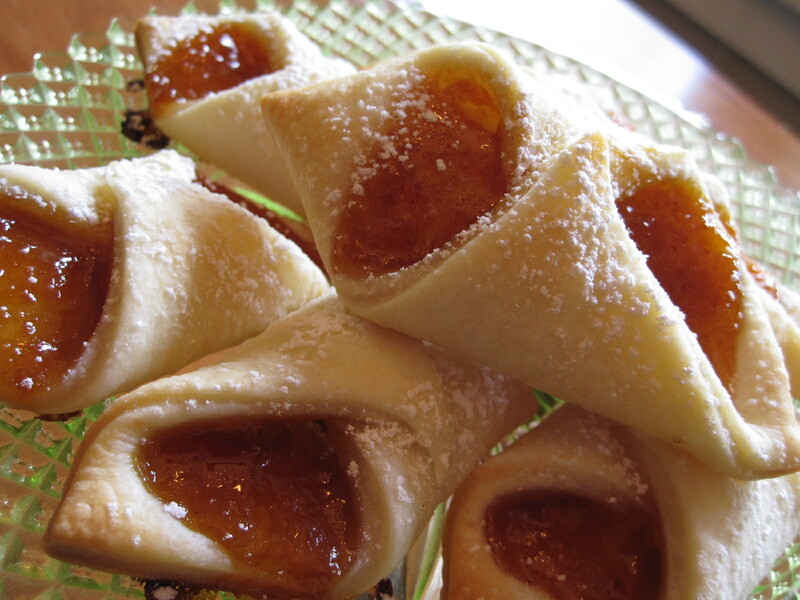 ♥ During World War II cookies sales were suspended due to a shortage of ingredients. The Girl Scouts sold calendars instead of cookies during those year. ♥ The top selling cookies are Thin Mints. 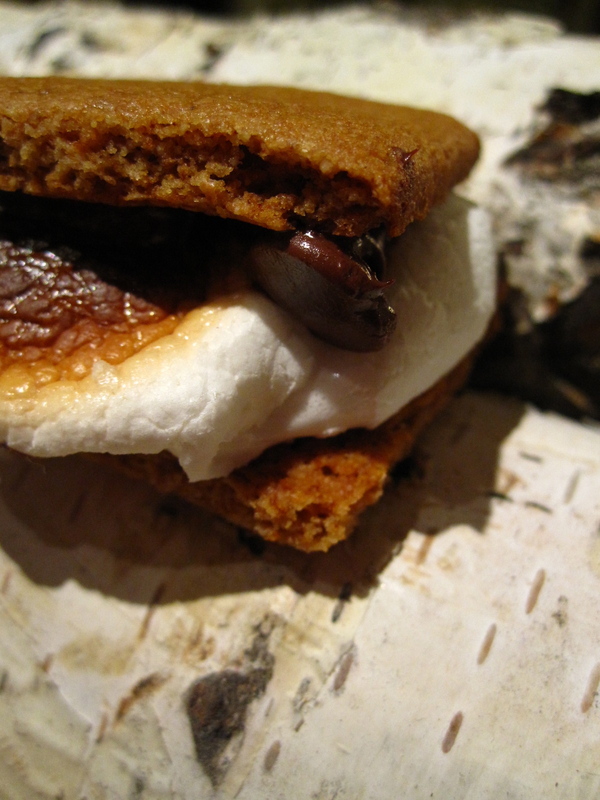 Almost 2 million Thin Mints are produced each day in an oven as long as a football field. ♥ Each year 200 million boxes of Girl Scout cookies are sold. These were really fun to make! Combine all dough ingredients in a large bowl, adding the water a little at a time until dough forms. Cover and chill for two hours. 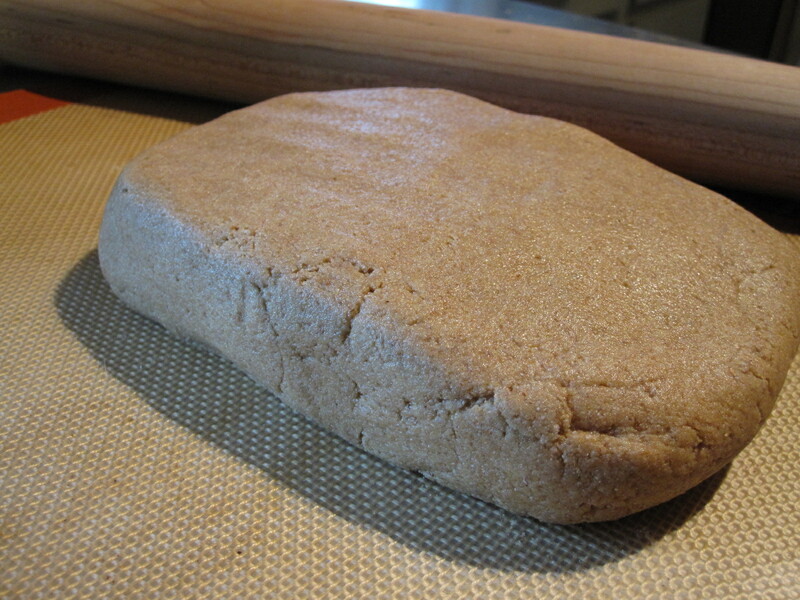 On a lightly floured surface, roll out half of the dough to just under 1/16 of an inch thick. To cut the cookies, use a 1 1/2 inch biscuit cutter. Arrange the cut rounds on a cookie sheet that is sprayed with a coating of non-stick spray. Bake for 10 minutes and then let the cookies cool completely before dipping. Melt the chocolate chips, shortening, and peppermint extract over a double broiler or in the microwave until chocolate consistency is smooth. Use a fork to dip each wafer in and place on a parchment lined baking sheet. Refrigerate until firm. What I love about these famous cookies: Crazy easy to make, and you know most people are going to like them! What I hate about these famous cookies: I’m not cute enough to convince people to buy these from me. If get asked a lot what I would ultimately like to do with my baking. And it doesn’t matter how many times I get asked the question, I never have a good answer. Because the truth is I really don’t know. I know my strengths do not lie in business or anything involved with running one. I know that I’m horrible at marketing, and even if I took some classes I would probably never apply them correctly because it doesn’t really fit my personality. I know that I’m a morning person, so waking up at an ungodly hour to start my work day wouldn’t bother me. I know that I thrive on lists and completion of something, so recipes and a finished project make me smile. I know that I was made to create, and without this kind of outlet in my life, I suffer. And I know that when life spins around me, heartache seeps in, and nothing feels right, the certainties of baking put my soul at ease. But if I had to shoot for the moon and dream big, this is what I would do. I would go to patisserie school. I would study under some of the best patisserie chefs in the world. And then I would open a patisserie where somebody else did all of the business and financial side of things. Where I didn’t have to market myself or what I made. 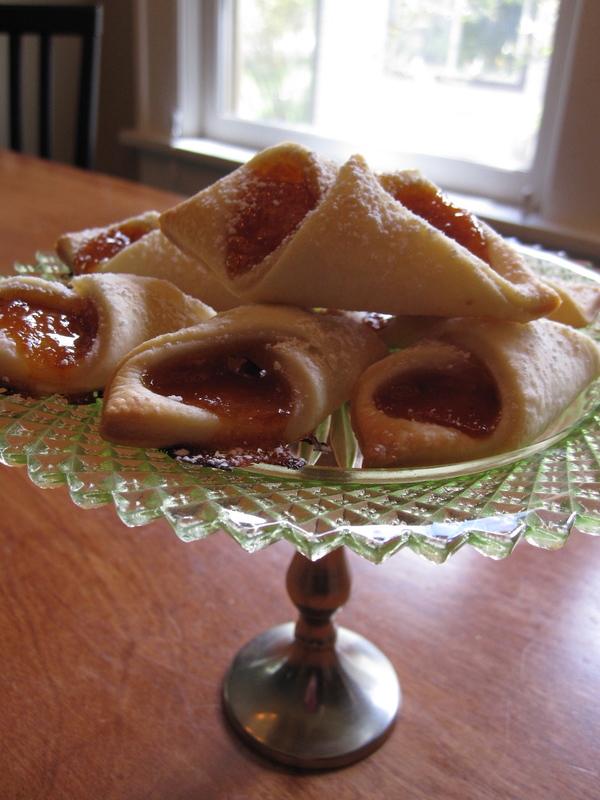 Where I would go into work each day, make the most simple and yet elegant sweets, and watch from the back with joy as people enjoyed them. Line 3 completely flat baking sheets with parchment paper or nonstick baking liners (like a Silpat) and set aside. Using a medium mesh sieve, sift the powdered sugar and almond flour into a large bowl and set aside. With a large rubber spatula, fold in half of the powdered sugar mixture. Once most of it has been incorporated, fold in the remaining mixture until just combined. Using a piping bag fitted with a 1/2-3/4 inch round tip, pipe the batter onto the prepared sheets in rounds that are about 1 inch in diameter and 1/4 to 1/2 inch thick, spaced about 1 1/2 inches apart. As you pipe, hold the bag perpendicular to the baking sheet and flick the tip of the bag as you finish each cookie to minimize the peaks. 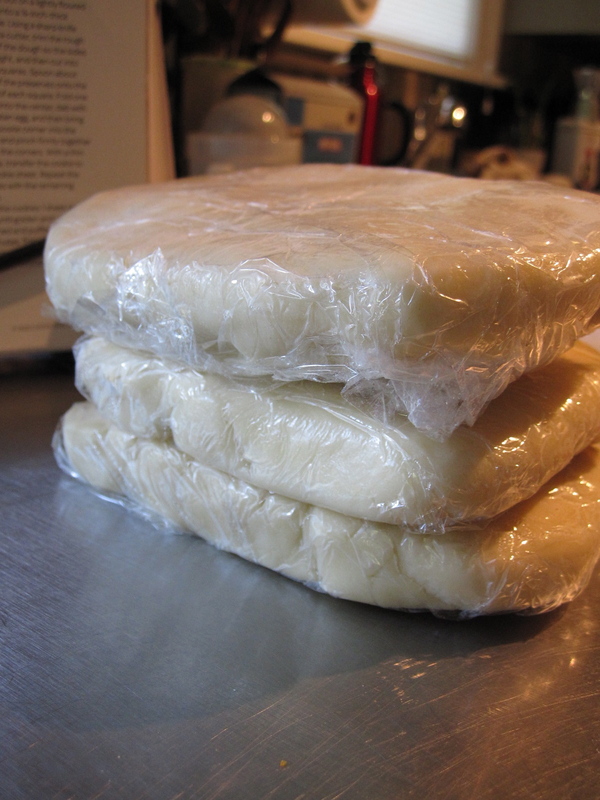 Rap the sheet against the counter several times to flatten the mounds and pop any large air bubbles. 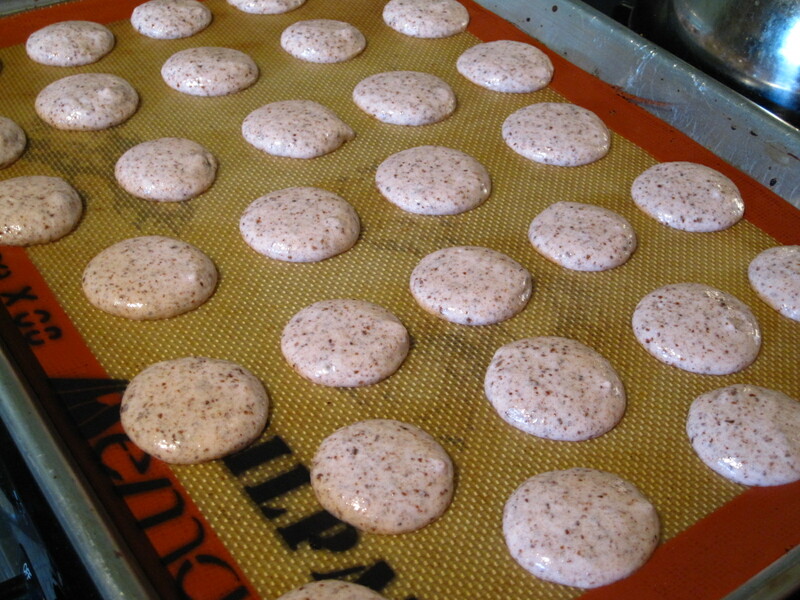 Let rest until the meringues no longer feel tacky, 20-30 minutes. Meanwhile, position racks in the top and bottom thirds of the oven and heat the oven to 325 degrees. Put 2 of the cookie sheets in the oven and immediately reduce the temperature to 300 degrees (let the third sheet sit at room temperature). Bake rotating the sheets and swapping their positions after 8 minutes, until the meringues are very pale golden, 15-20 minutes total. Cool completely on the baking sheets on racks. Meanwhile, return the oven temperature to 325 degrees and then bake the third sheet as above. Remove the meringues from the parchment and pair them by size. In a small heatproof bowl, whisk the sugar and egg whites. In a 1-quart saucepan, bring 2 cups of water to a simmer over medium-high heat. Set the bowl over the simmering water (don’t let the bowl touch the water) and heat the mixture, whisking occasionally, until hot to the touch, 4-6 minutes. It will thin out a bit as the sugar melts. Remove the bowl from the heat and scrape the mixture into the bowl of a stand mixer fitted with the whisk attachment. Whip it on medium-high speed until the mixture is light, white, and cool to the touch, 4-6 minutes. Reduce the speed to low and add the chunks of butter one at a time. Increase the mixer speed to medium and beat until the buttercream is smooth, 4-5 minutes. Mix in the vanilla and the salt. 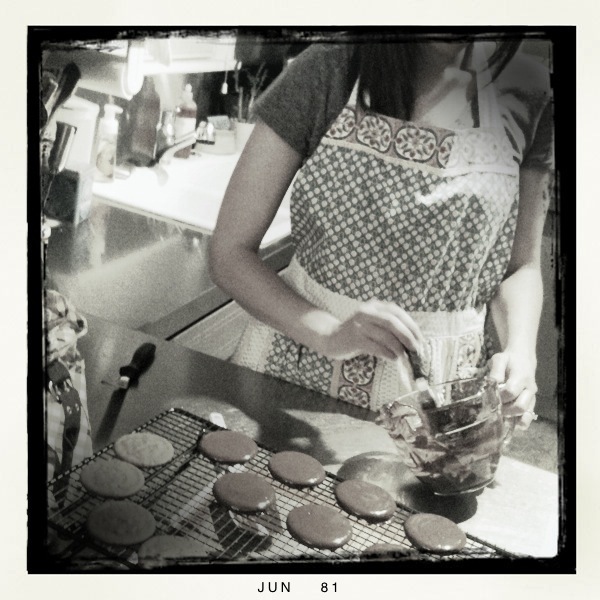 Using a piping bag with the same tip used to pipe the cookies, pipe 1-1 1/2 tsp of the filling onto half of the cookies–you want to use just enough filing that it spreads to the edge when topped but doesn’t squish out much when bitten. Top the filled halves with their partners. The cookies are best the day they’re made, but you can store them in an airtight container at room temperature for up to one day or in the freezer for up to 2 weeks. *I used almond meal, which is slightly more coarse than almond flour. I found it to be just as appropriate to use, but it does put specks of dark brown into the meringue batter. I personally like this little touch, but if you don’t want that look, you’ll want to definitely use pure almond flour. **I added some pink food coloring to my batter right before I added the flour mixture, just because I thought it would be cute. And it was. What I hate about these charming macaroons: What a stupid question. This is another recipe that I’ve had marked for a really long time. I love the idea of baking your own crackers of any kind, and I’ve never tried it. I was super impressed with not only how easy these were, but how very much they look and feel like real Honey Maid graham crackers! Look and feel aside, Aaron said the flavors were much more intense and fresh than the boxed cracker, which is exactly what you’re going for in making your own! 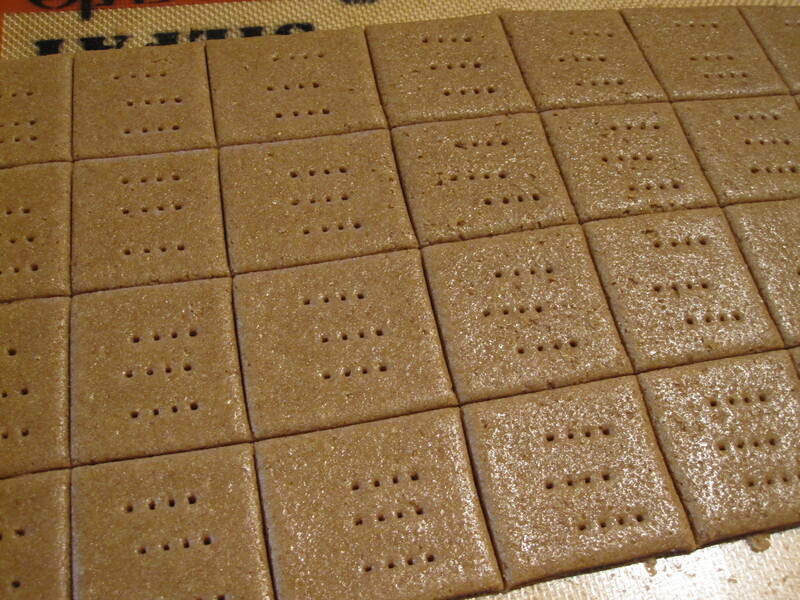 Graham crackers always remind me of childhood. They were a favorite snack of mine as a kid, and I remember them being a constant in our cupboards. They are the perfect amount of sweet without being an all out cookie, and I desperately wish I could still have them. I may have to put these in the mail to my nephew! Position a rack in the center of the oven and heat the oven to 350 degrees. 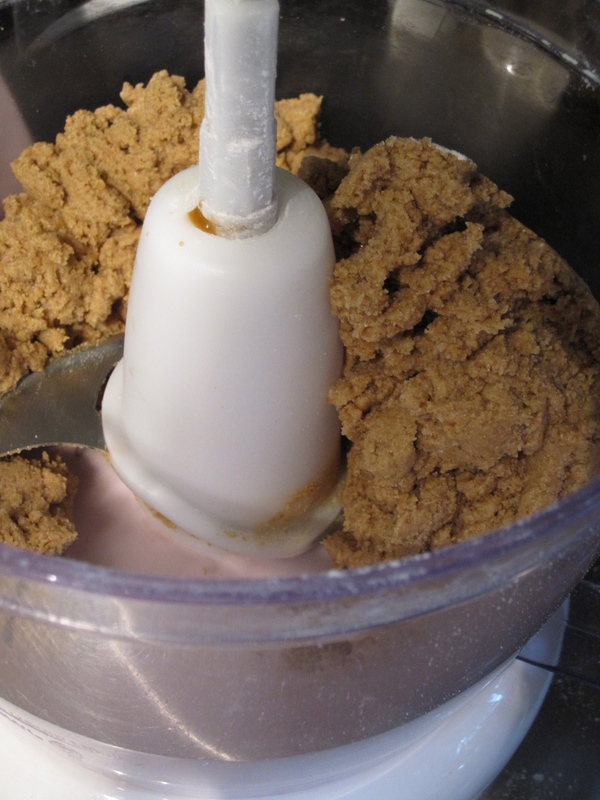 Put both flours, the sugar, baking powder, baking soda, salt, and cinnamon in a food processor and pulse until combined. Add the butter. Pulse until the mixture resembles coarse meal. In a small bowl, whisk the buttermilk, honey, molasses and vanilla. Add the wet ingredients to the dry and pulse until a dough begins to form. Remove the dough from the food processor and transfer to a large piece of parchment (I ran out of parchment paper yesterday so I just used two Silpats instead). Lay another piece of parchment over it. 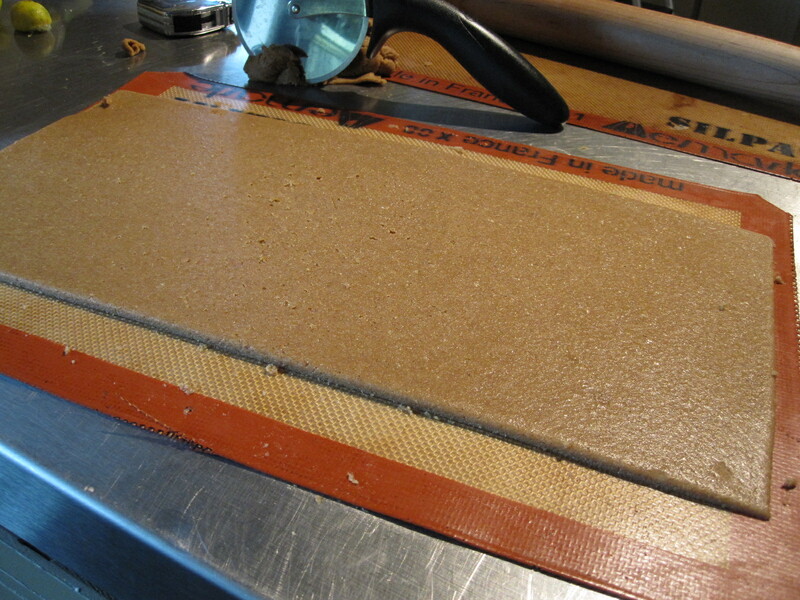 Roll the dough into a 1/8 inch thick, 16×13-inch rectangle. Remove the top sheet of paper, trim the rough edges, and transfer the dough along with the bottom layer of parchment to a baking sheet. With a pizza cutter, cut the dough into 2-inch squares (press just hard enough to cut the dough and not the paper). With a fork, prick each square 3 or 4 times. Bake until golden brown, 15-20 minutes. Let cool on the sheet. Once completely cooled they will break apart fairly easily at the spots you cut them before baking. **Make Ahead: You can divide the dough before rolling, wrap one half well, and refrigerate for up to 3 days or freeze for up to 1 week. Remove it a couple of hours before baking to let it soften slightly. What I love about these cute crackers: Easy, easy, easy! What kid wouldn’t want this lovely treat? What I hate about these cute crackers: It’s a little difficult to roll thin enough. Part of my sheet that I rolled out was thicker than 1/8 inch, and while the cracker pieces still turned out tasting divine, they were more of a cookie because they were more soft. If you’re going for a true cracker, make sure the dough is truly 1/8 inch thick at all spots before popping them in the oven! I’m 7 days into my 30 day challenge, and I’m already behind! We headed over to Salem Friday evening which is one of my favorite things to do. Not because Salem is a destination of any kind. The weather is consistently cloudy and dreary, and it’s a typical state capital, but there is one thing there that brings such a smile to my face, it’s most times hard to contain. Our best friends live there, and if I could, I’d find a way to be there every weekend if it was possible. Duane, Shauna, Stephen and Tiffany are the kind of friends you only hope that Jesus blesses you with in your lifetime. When we get to spend time with each other we laugh, eat, drink absurd amounts of coffee, cry (at least us girls do ♥), and make memories that I believe are the absolute fuel for my soul. I love the way all of their voices sound when we walk in the door. I love how each time we’re together we come away with some ridiculous saying that created so much laughter for no good reason. I love catching the sound of the guys talking about their motorcycles in the next room with so much passion you would think each ride was a life changing event. I love how our very personalities fall into place right alongside each other, as if the weeks that had passed since the last time we saw each other hadn’t existed at all. I’m currently in the middle of a book that my dear friends Tiffany & Shauna gave me called “Bittersweet” by Shauna Niequist, and I came across this bit that perfectly describes our time together. Because we had the time, because we could let conversations wind and unwind, because we could start them at dawn and pick them up again in the afternoon and add a few more thoughts in the evening, we circled down to the places you never get to when you just see one another at weddings, giving out funny sound bytes over bites of cake. Life with them is full of depth, and there’s just really nothing else like it. Things are once again changing for our group as Tiffany & Stephen prepare to bring their sweet baby girl into the world this week! So incredibly thankful to have spent their last weekend without kids with them, and can’t wait to meet that little cupcake! If there’s one thing that is becoming more and more apparent to me as I grow and change and learn, it’s this…life is so short, and I want to share it with the people I love most, no matter what the cost or sacrifice. All that to say, it was absolutely worth falling a few days behind in my baking challenge. 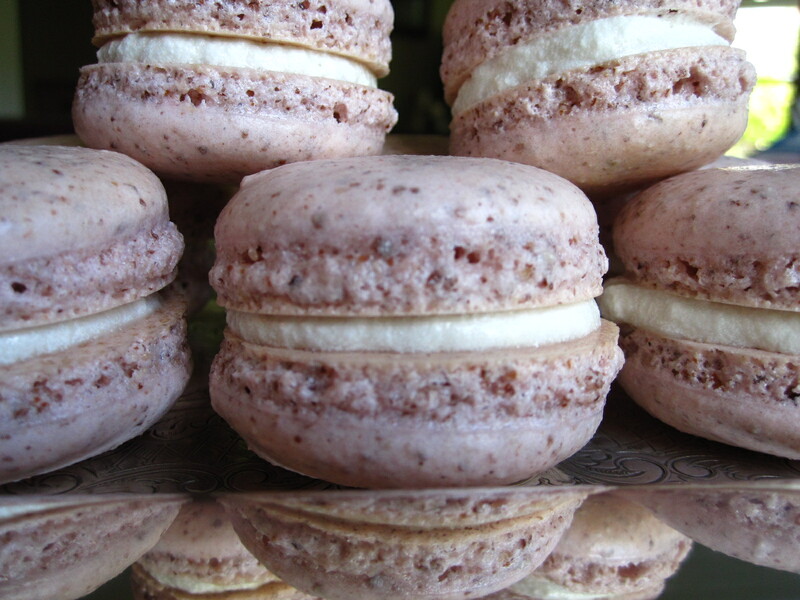 It does, however, mean that this week will be more than filled with sweet treats, starting with these little dandies! Whoppers date back all the way to 1949 and were first sold unwrapped, two for one cent. I love this picture of a time so much more simple! It reminds me of Walker’s Pharmacy in Sterling where they used to sell gummy worms for 5 cents each at the counter. Anybody else partake in this simple pleasure as a kid? Needless to say, this all-American candy used to be one of my favorites before I could no longer eat it, so when I found this recipe it was a must! My house is filled with the smell of chocolate and malt, and I’m loving every minute of it! Sift together the flour, malted milk powder, cocoa powder, baking powder and salt. In a separate large bowl, beat the butter and sugar together with a hand mixer for 3 minutes, until very smooth. Add eggs one at a time, beating for 1 minute after each addition. Mix in vanilla. Add in half of the dry ingredients, mixing until they disappear into the batter. Mix in the milk and then the remaining dry ingredients. Mix until they are incorporated. 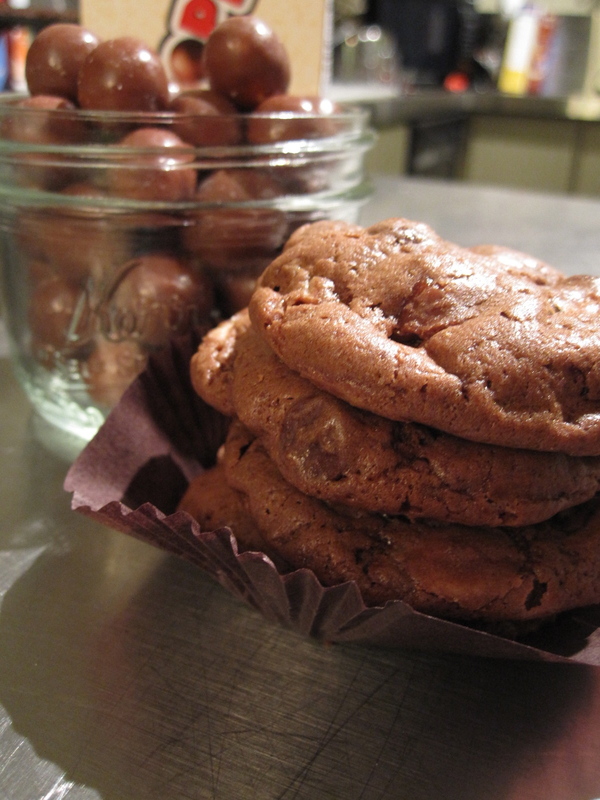 Mix in malted milk balls and chocolate chips, using a rubber spatula. Drop the dough, a tablespoonful, on the lined baking sheet, leaving about inches of space in between. Baking for 11-13 minutes, rotating the pan after 6 minutes. Let the cookies rest for several minutes on the baking sheet, and then transfer to cool to a room temperature on a cooling rack. 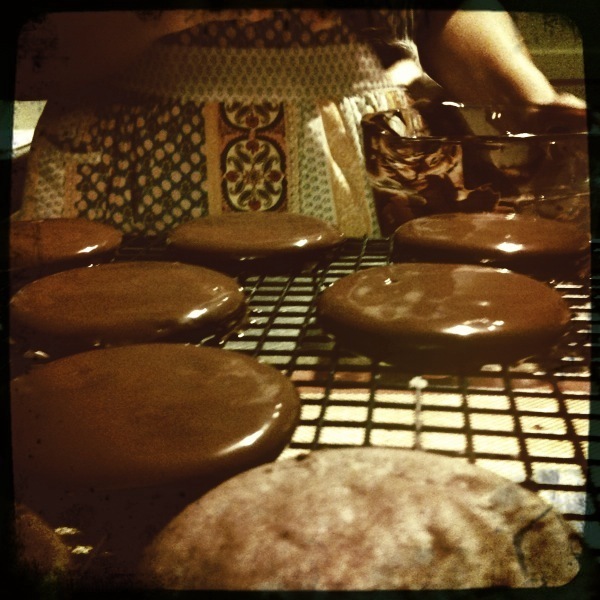 What I love about these chocolate cookies: There are actual Whoppers in them! Bonus. What I hate about these chocolate cookies: Not a darn thing. 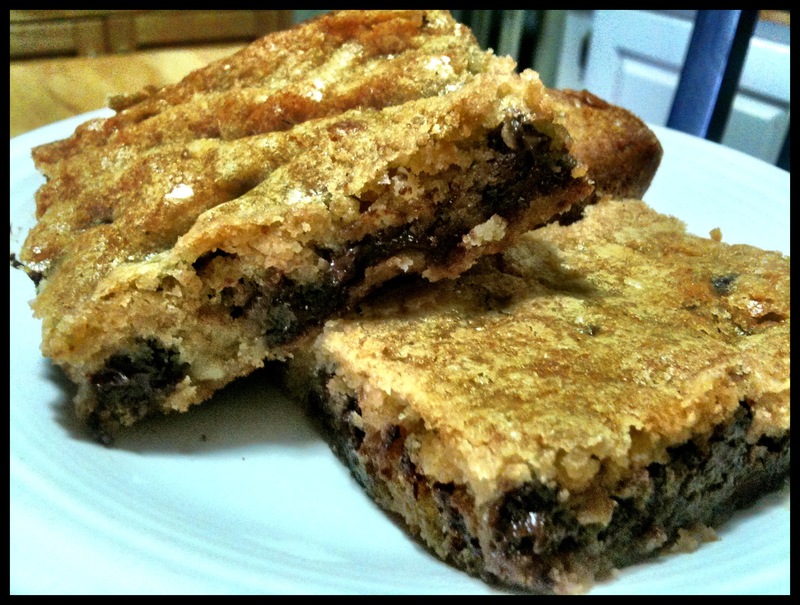 They are easy and different from the go-to chocolate chip cookies that I often make! When I was in junior high I spent a couple of weeks during the summers visiting my aunt and uncle and cousin in Wyoming. My aunt owned a kitchen store downtown that I helped out at during the day. My cousin was quite a bit younger than me, but a couple of times a week we would take a break in the afternoon and walk over to the tea shop around the corner where they would set up an afternoon tea for guests. The shop was decked out with the prettiest tablecloths, dishes, and teapots! You got to pick your favorite tea that they would steep in a beautiful teapot and bring to you with a selection of the most charming tea cookies. It was the perfect afternoon treat! With a stand mixer fitted with the paddle attachment, beat the cream cheese and butter on medium high speed until light and fluffy, about 3 minutes. Scrape the bowl and paddle. With the mixer on low, gradually mix in the flour until a smooth dough forms. Turnout the dough onto a lightly floured work surface and knead it gently to form a ball. 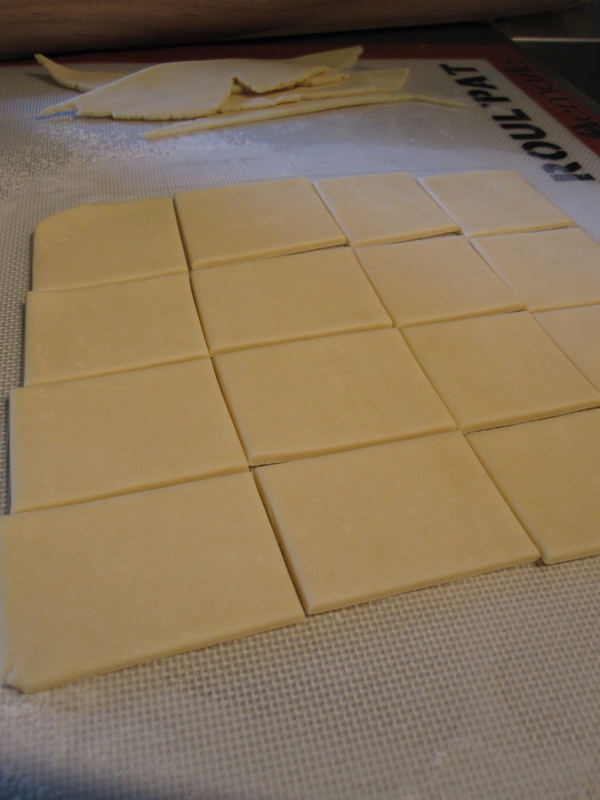 Portion the dough into thirds, wrap each in plastic or waxed paper, and flatten into squares. Position a rack in the center of the oven and heat the oven to 400 degrees. Line 3 cookie sheets with parchment. Remove one piece of dough from the refrigerator and roll it out on a lightly floured surface into a 1/8 inch thick rectangle. Using a sharp knife or a pizza cutter, trim the rough edges of the dough so the sides are straight, and then cut into 2-inch squares. Spoon about 1/2 tsp. of the preserves onto the center of each square. Fold one corner into the center, dab with the beaten egg, and then bring the opposite corner into the center and pinch firmly together to seal the corners (this turned out to be pretty important in order for the finished product to not come undone, so be careful during this step to make sure the dough is really pinched together). With a thin spatula, transfer the cookie to the cookie sheet. Repeat the process with the remaining dough. Bake the cookies 1 sheet at a time until golden and very lightly browned and puffed, 10-12 minutes. Transfer to a rack to cool completely and then dust with powdered sugar. The recipe says these little cookies can be frozen for up to 3 months which is a total bonus! I love having things like this around that I can take out and thaw for drop in guests! Lovely sister of mine, if I wasn’t leaving town today, I’d put these in the mail for you so you could enjoy them with tea next week. ♥ Love you so! Here’s what I love about these sweet cookies: They are incredibly easy! The dough is three ingredients, and it comes together in about 3 minutes. Plus, it makes a lot at once so you can freeze some for later! Here’s what I hate about these sweet cookies: The bowties most definitely want to come undone while baking. You have to be extra conscientious of getting the corners pinched together or they pop open when they puff up during baking. Trust me. I had plenty that I wouldn’t have wanted to serve because of this.